MGM Resorts International and Hakkasan Group today announced the formation of a joint venture hotel management company, to be named MGM Hakkasan Hospitality. The strategic alliance will focus on the design, development and management of luxury non-gaming hotels, resorts and residential offerings under the Bellagio, Hakkasan, MGM Grand and SKYLOFTS brands in key international gateway cities and prime resort destinations across the globe. All of the hotel and resort projects currently under development by each group will be contributed to the joint venture, including MGM projects in the Americas, the Middle East, and Asia; and Hakkasan projects in Abu Dhabi and Dubai. MGM Hakkasan Hospitality marries the strengths of MGM Resorts International and Hakkasan Group. MGM Resorts is a world leader in experiential hospitality and is recognized for designing and operating destination hotels unparalleled in innovation, amenities and quality of service, while Hakkasan Group is a distinguished global lifestyle company offering a unique approach to restaurant, lounge, nightlife and daylife experiences. "This joint venture exemplifies one of our stated strategies of developing Hakkasan Group into a multifaceted global lifestyle company. 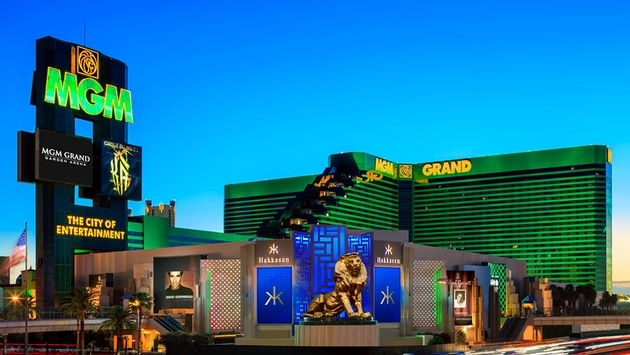 While hotel and resort projects have been part of our business plan for some time, it was crucial for us to find the best possible partner that could bring a wealth of experience and skill to the development and operation of branded products, and we believe there is no better choice than MGM Resorts International," said Khadem Al Qubaisi, Chairman of Hakkasan Group. Jim Murren, Chairman and CEO of MGM Resorts International, said, "Our partnership with the team at Hakkasan began with the incredibly successful opening of Hakkasan Las Vegas Restaurant and Nightclub at MGM Grand in April 2013. Growing that relationship to form MGM Hakkasan Hospitality provides us both with access to capital as well as the opportunity to join their internationally renowned lifestyle brand with iconic brands such as Bellagio and MGM Grand as we seek to create resort destinations and lifestyle experiences around the globe." Each party is contributing brand licenses to the new MGM Hakkasan Hospitality, with a combined portfolio that boasts many of the world's finest hospitality brands in Bellagio, Hakkasan, MGM Grand and SKYLOFTS. The new joint venture will aggressively pursue gateway cities around the world. 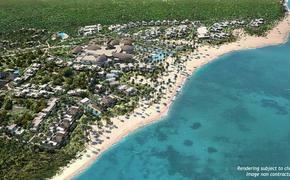 Early targets will include such international destinations as New York, Beverly Hills and London. Additionally, Hakkasan Group will focus on placing other high-profile dining and nightlife brands into MGM Hakkasan Hospitality hotel and residential developments in order to maximize value from its portfolio of assets. Hakkasan Group CEO Neil Moffitt will lead the joint venture, as he becomes CEO of MGM Hakkasan Hospitality, and MGM Hospitality COO Michael Evans will be COO of the newly formed company. The company will operate under a combined board and governance. Moffitt said, "With existing projects already in the pipeline, a strong operational infrastructure and access to capital resources, MGM Hakkasan Hospitality will have more exposure to greater opportunities, improve the utilization of its resources and be more efficient in its operations." For more information, visit www.mgmhk.com.